The numbers revealed in the study are sobering but the study also includes recommendations how to make diverse writers feel more welcome in writer rooms. 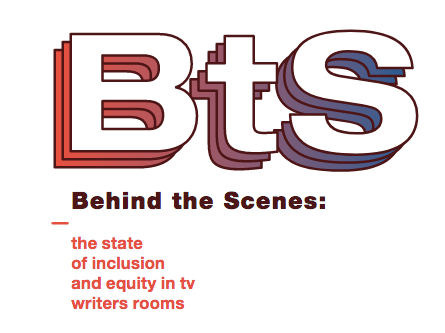 The Think Tank Strongly urges those in power to “seek meaningful representation in hiring” by collecting and tracking writers room stats, creating mentorship and education programs, and providing unconscious bias and general management training. As well as “removing systemic barriers to promotion and advancement for diverse writers,” perhaps by financially incentivizing shows that encourage and support diverse writers and sanctioning shows that don’t. To date, 250 Writers and Advocates have signed on to endorse and support the report, including Atlex Kurtzman, Jill Soloway, Lena Waithe and Marti Noxon. For more, you can find the whole Behind-The-Scenes report here.